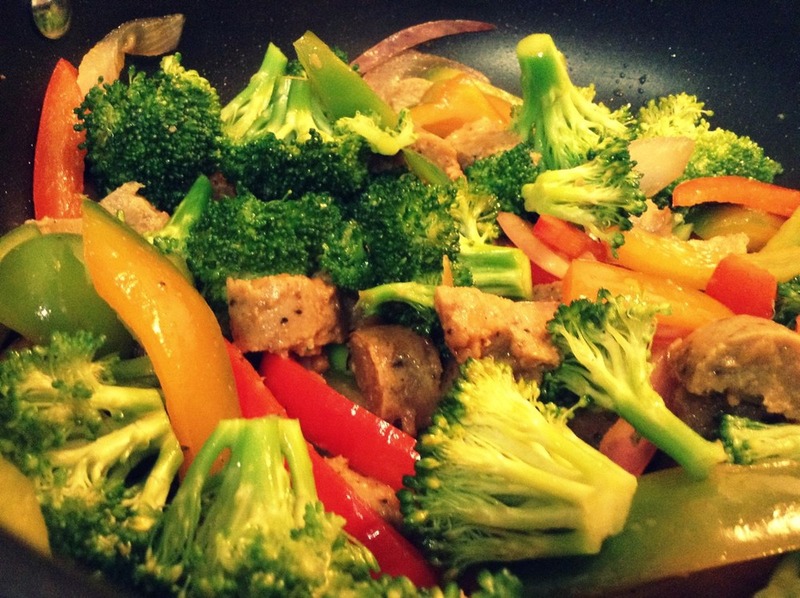 Stir-fry is one of my "go-to" meals because they're quick, easy and delicious. The possibilities are endless with the different combinations you can make each week (or night, if your week is super crazy and your family doesn't complain too much lol). In the recipe below, I show you a fast lunch I put together for us the other day. I used Field Roast vegan sausage. Even though it comes in a pack of 4 links, I only use 2 and save the others for another meal. Another option for vegan sausage (this one is more accessible) is the Tofurky brand. In a large skillet, heat the oil on med-hi heat. Toss in the broccoli and saute for about 4 minutes. Add in garlic, onion and bell peppers and continue cooking for 5 minutes, stirring occasionally. Mix in the vegan sausage and soy sauce. Continue to cook for 3 minutes. Serve with rice, quinoa or solo.